As promised, I am reporting on the results of my recent upgrade to Microsoft’s newest operating system, the numerically titled “Windows 7”. Oh and never mind that it is not technically Bill’s 7th OS, maybe he was just looking for a little numerological mojo after the PR disaster that was Vista. Why the wait? HP was a little slow out of the gate getting a driver written for my plain vanilla LaserJet 1022, which I had discovered by running the Windows 7 Compatibility Advisor tool, an ESSENTIAL step you MUST take if you are going to attempt installing 7 on your current PC. Now as mentioned before, I DO NOT recommend most folks take a perfectly good PC or desktop and try to upgrade their OS. It is risky and could leave you worse off than before if not done correctly. But hey, here at The Computer Doctor, its my job to make the Microsoft products work, so I am bound to the altar of Bill to make sure I am using the latest and greatest goodies from Redmond. My PC specs? Oh nothing special. It is just a Windows Vista Ultimate 32 bit “white box” I built with an Asus MB, an AMD 64 3500 CPU and 2 GB of RAM. My primary hard drive is an 80GB drive that is about half full. I have a second 120 GB internal hard drive set up for imaging and weekly data backups and use a Comcast Workplace Internet connection ( especially helpful as I had to download Windows 7 Ultimate 32 bit from the Microsoft site and it clocks in at about 2.7GB!) So my hardware exceed the minimum reqs, but I run ACT 2000, QuickBooks 2009, Office 2003, Roboform and various other programs that, well even though they SHOULD work, sometimes you upgrade and find out differently…. So around 5 pm a few weeks ago I downloaded 7, burned the ISO to DVD and began my upgrade. This time when I ran and reviewed the compatibility report, launched the UPGRADE option and sat back and watched. At 6 pm the files, settings and programs phase of the upgrade was done so I went to have dinner. When I came back around 7:15 pm, it was done, asking for the product key, which I dutifully entered. My first login presented a beautiful new Windows logo and the improved Aero interface with its translucent taskbar and really cool open program preview buttons. I tested my printer and it worked just fine. Then I tested all my programs and everything worked great. Noticing no big difference in boot speed or performance, I was glad to see it did not have any negative impact versus Vista. I did have to download KB 1010248 from Intuit to fix a QuickBooks problem with PDFs and invoice merging that quickly fixed the problem and there was good news too: an Adobe Acrobat update that has been failing to install for the past year finally worked with 7! The previous print sharing setting was removed so I did go back into the new Devices and Printers and selected the Printer Properties to change the Advanced sharing options to re-share the printer. Later my wife told me she could not print over the network to the new printer and I just had to re-share it on her side and it worked fine afterwards. 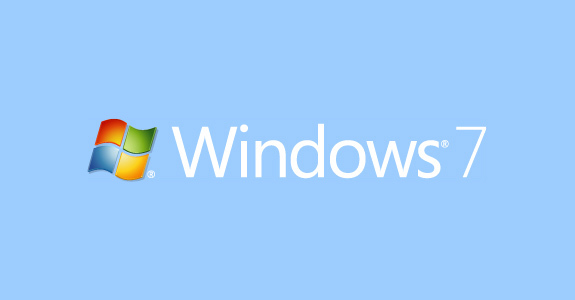 Windows 7 new Homegroup file and print sharing is a little cumbersome, and like Vista, it may be more secure but seems unnecessarily complex and is really geared for sharing resources with other 7 machines versus XP machines. (Another part of the new push to get rid of XP? Who knows?) I was a little irked that I had to re-share the printer but overall, this was a piece of cake, even for your Microsoft Certified Expert. This is just awesome Thankyou for posting this.